When thinking about the journey undertaken by 19th-century European immigrants, my mind instinctively conjures pictures of life aboard ships crossing the Atlantic. But when travelers bound for the Upper Midwest reached North America, their journey was far from over. 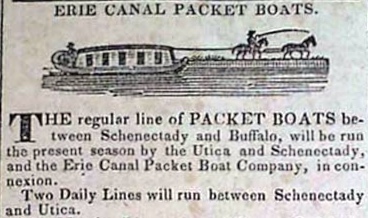 Many traveled to Albany and boarded a boat headed west on the Erie Canal. 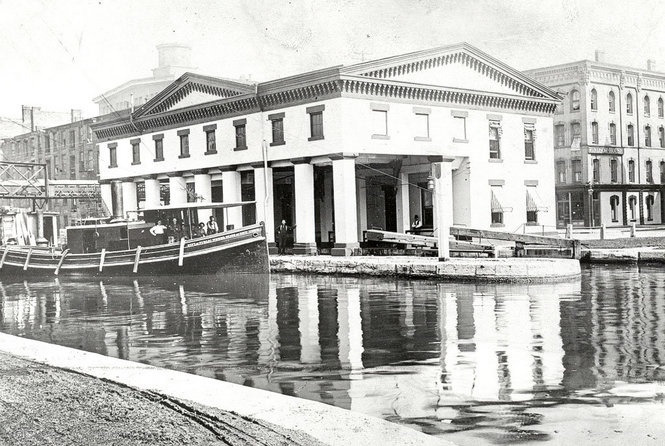 The canal, which was completed in 1825, linked the Hudson River to Lake Erie. 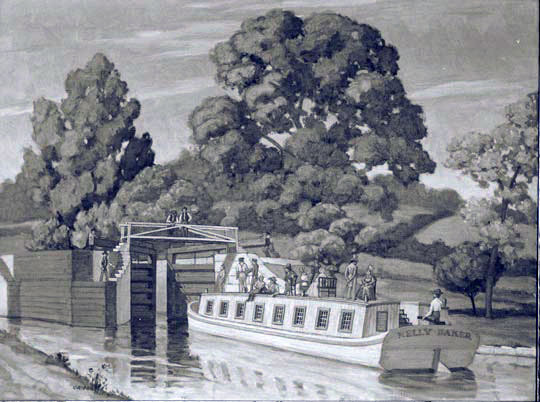 Although originally intended to haul goods and freight, immigrants soon discovered that traveling west was faster and cheaper on the canal than by carriage. 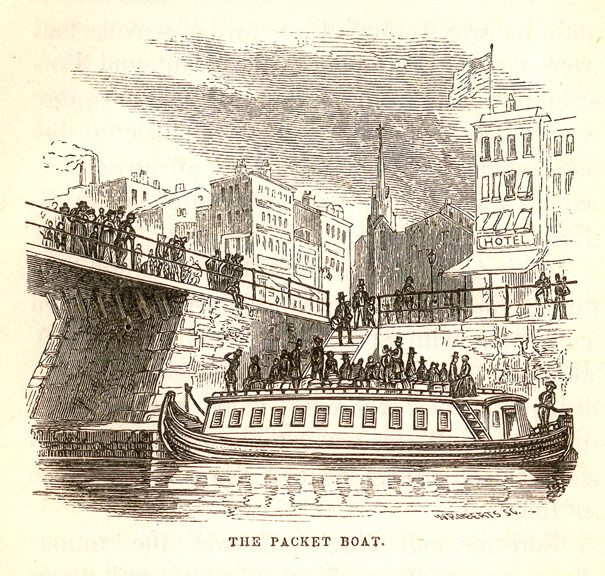 Many Europeans, and Yankees leaving New England, boarded packet boats. Deck space was limited, so passengers often passed time on the roof when the weather was fair. They had to duck, or even flatten themselves on the planks, when passing under low bridges. 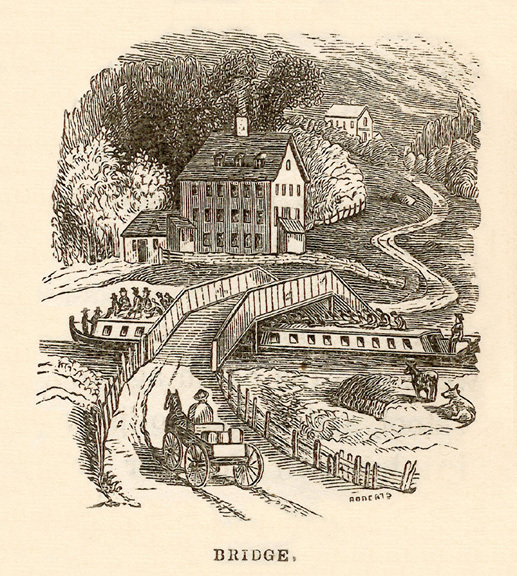 Some accounts of travel on the Erie Canal are idyllic, with passengers noting pleasant scenery and conversation. Those with extra cash might pay the ship’s cook to prepare their meals. Some men chose to walk along the towpath between one stop and the next, which gave them time for some extra sight-seeing or shopping. 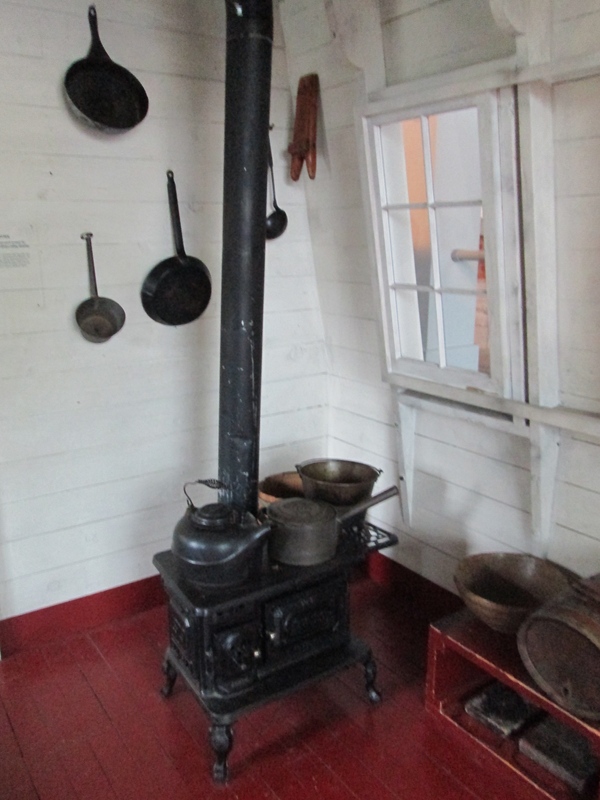 Poor immigrants ate cold food they brought on board, or cooked on deck. “Try to find a clean boat that is not too crowded,” Karl Brünhuber advised his brother. 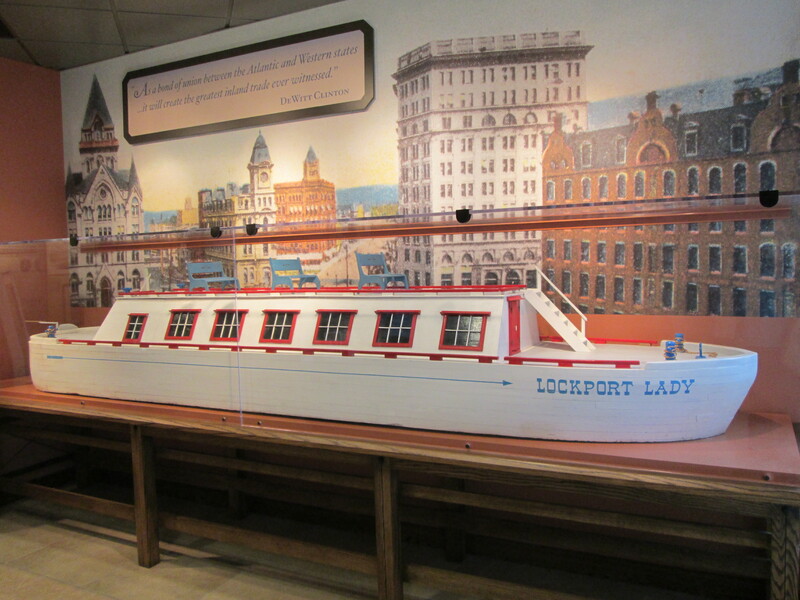 (Exhibit, Erie Canal Museum) As many as one hundred people might travel on a packet boat. Immigrants hauling bulky tools of their trade or other large cargo chose work boats, which were slower but less expensive. Passengers paid by the mile. When they reached the end of the line, those headed to Wisconsin and beyond paused once again to arrange passage on a steamship that would take them through Lake Erie, Lake Huron, and finally Lake Michigan and on to Green Bay, Milwaukee, Kenosha, or another port. 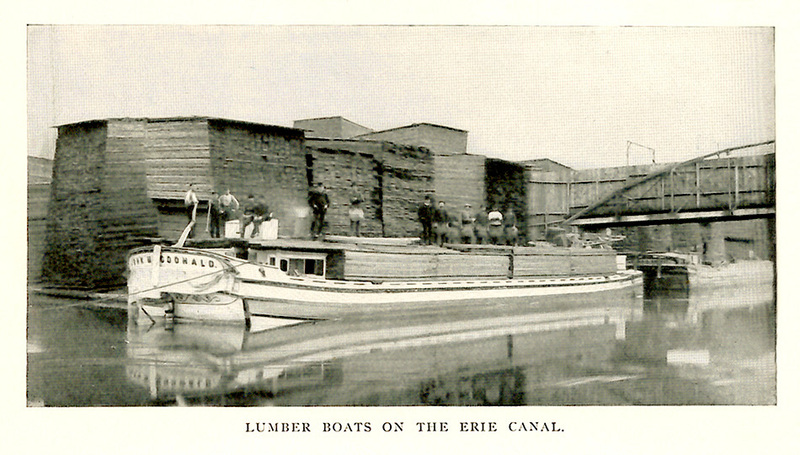 Many of the immigrants discussed in A Settler’s Year: Pioneer Life Through The Seasons traveled on the Erie Canal. 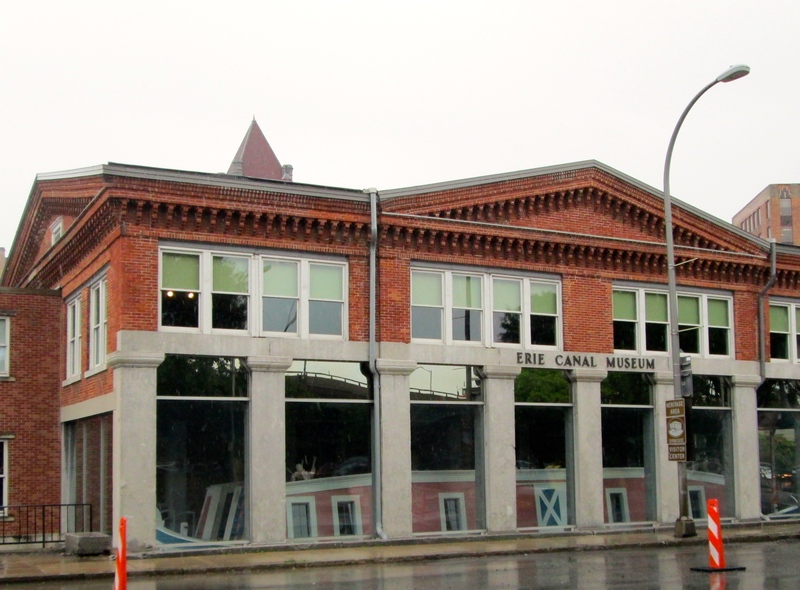 You can learn more about this part of their journey at the Erie Canal Museum in Syracuse, New York. 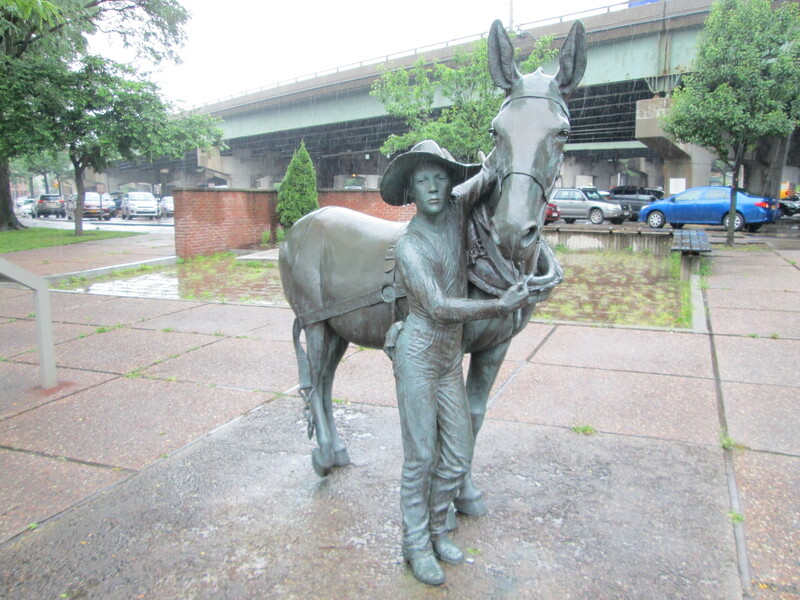 In downtown Syracuse, a statue of a mule and his young tender gazes across Erie Boulevard to the Erie Canal Museum. The museum preserves the only remaining weigh lock building in the US. 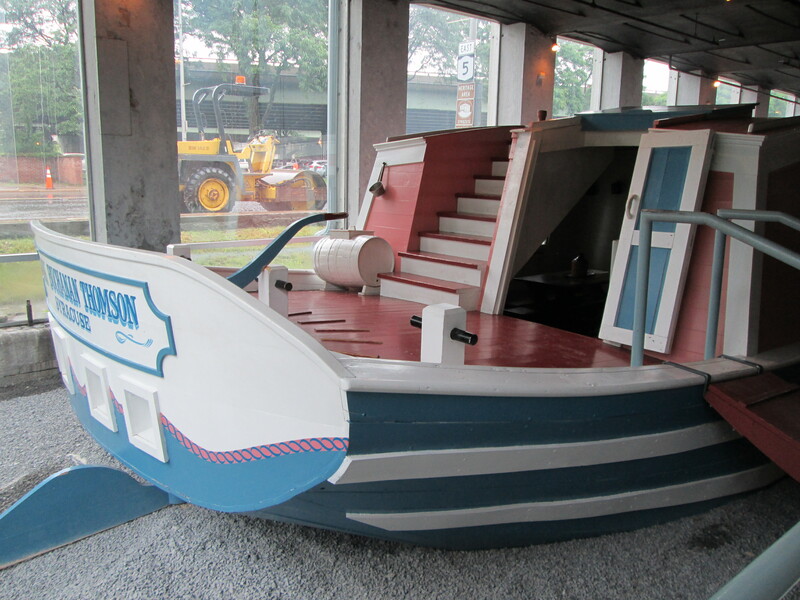 Today visitors can step aboard a line boat (work boat) in what was once the lock. Notice how narrow the boats were. Passengers had to walk on the roof to get from bow to stern. 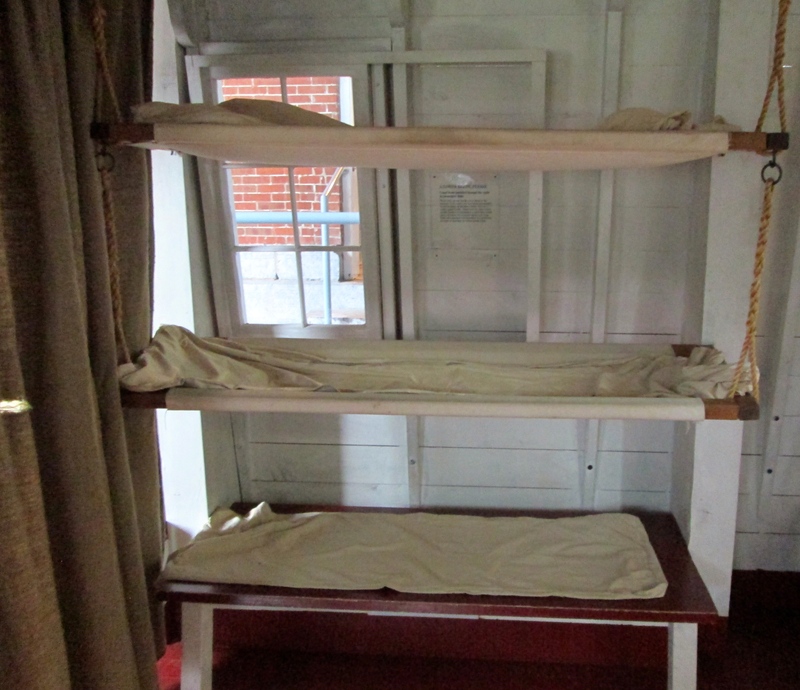 Bunks like these were lowered after the evening meal. Curtains separated the women’s quarters from the men’s. Often the floor was packed with sleepers as well. Travelers weren’t permitted in the crew quarters at the back of the ship. And inside the formal museum, exhibits tell the story of the Erie Canal—how it was built, who built it, how it changed over the years. You can also learn more at the Erie Canalway National Heritage Corridor, and The Erie Canal website. 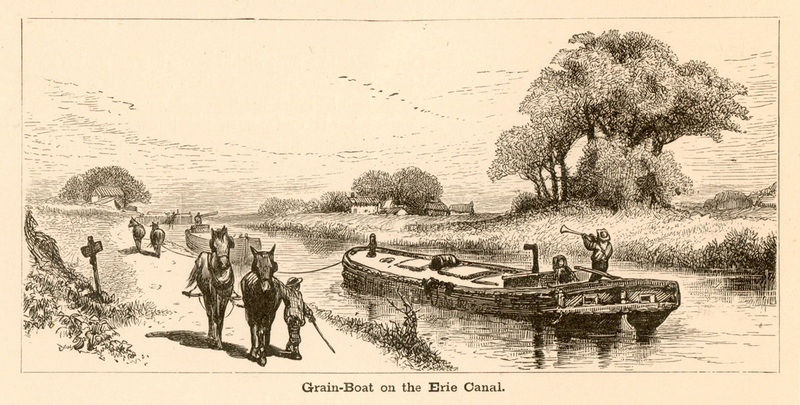 The Erie Canal was a commercial success, allowing merchants to get their goods to growing Euro-Yankee settlements west of the seaboard, and farmers to send their produce to market. 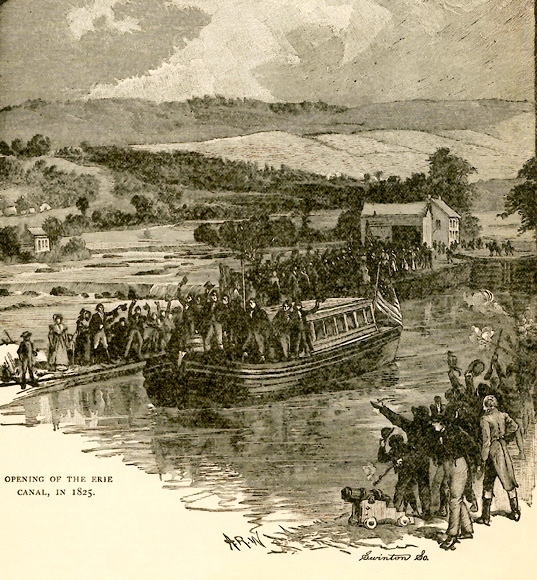 But perhaps even more dramatic was how the US population spread after the canal’s completion, when thousands of immigrants boarded canal boats, headed for their new homes.